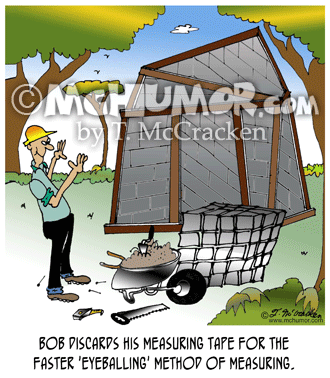 Mason Cartoon 7611: "Bob discards his measuring tape for the faster 'eyeballing' method of measuring." 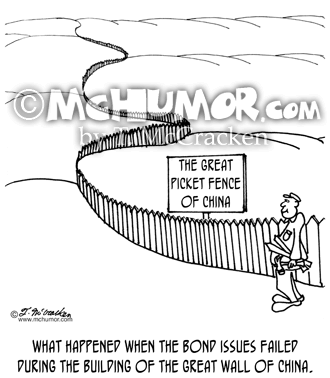 The brick walls of the house he is building are lopsided. 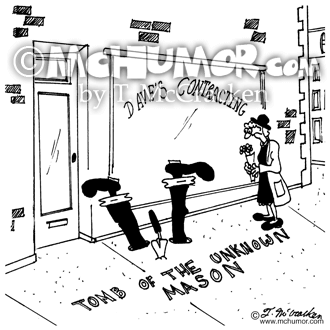 Mason Cartoon 6420: "Tomb of the Unknown Mason." 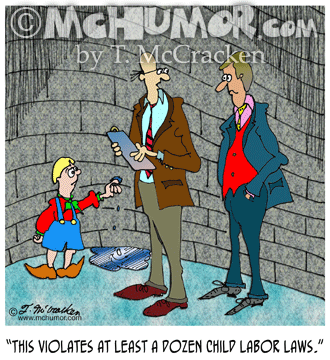 A woman brings flowers to legs sticking out of the cement in a sidewalk in front of a contractor's office. 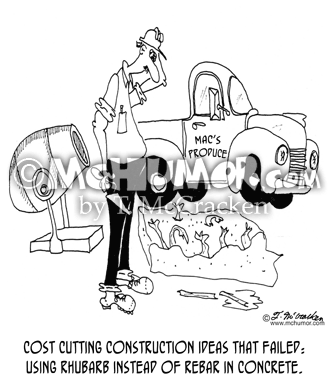 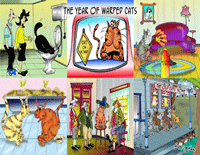 Concrete Cartoon 5761: "Cost cutting construction ideas that failed: using rhubarb instead of rebar in concrete." 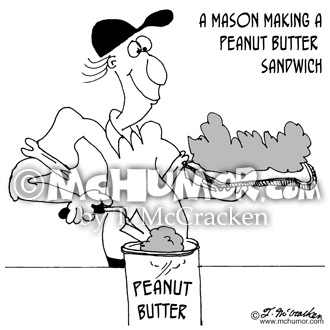 Masonry Cartoon 6675: "A mason making a peanut butter sandwich." 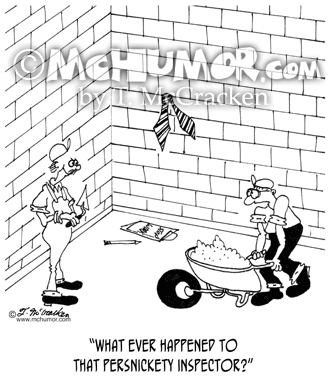 A man uses a trowel to put peanut butter on really thick. 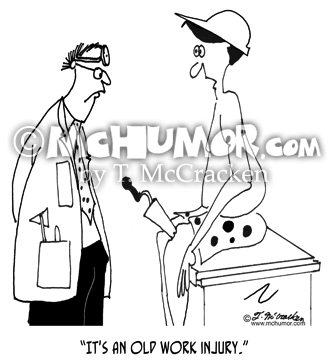 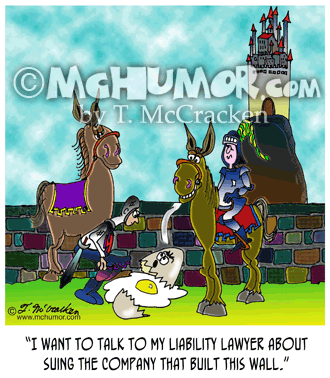 Mason Cartoon 6086: A man with a trowel in his knee says, "It's an old work injury." 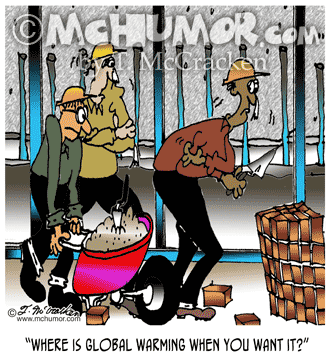 Masonry Cartoon 6113: A freezing construction worker saying, "Where is global warming when you want it?"